Beethoven's prepotency has truly made our breeding program. He stamps out his balanced frame and distinctive head time after time. More importantly, his offspring inherit his density and the consistency of fiber architecture which the judges comment on again and again. 22 Color Championship Banners, 16 Reserve Championship Banners & 62 Blue ribbons to date! 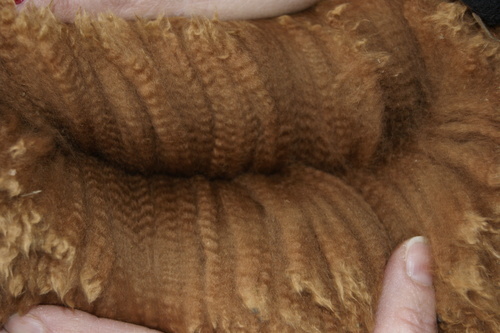 Extraordinary dense silky soft, crimpy fleece. 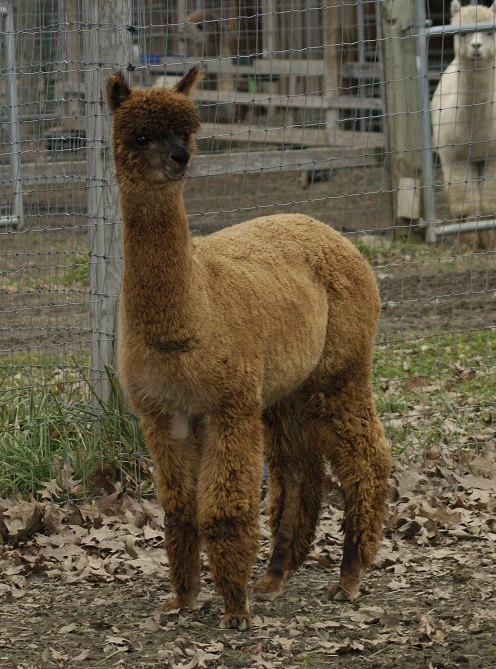 Wilhelmina is the daughter of Maple Brook Oro's Prince, a full Accoyo son of Felix, holding at age 7 a 23.9 micron. Excellent conformation with a very feminine look. 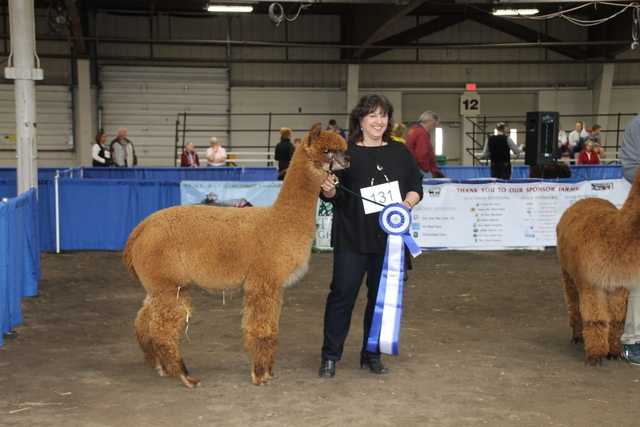 She is an excellent breeder, easy birther and attentive mom, a great foundation girl. 2013 Histogram! at 5 years old 20.5 3.9 19 1.7%. Victory is still taking Color Champions at 3 years old!! 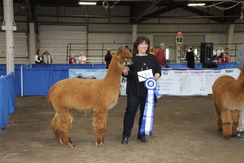 Victory is 19 microns at 37 months old, and his lingering fineness is awarding him the ribbons! Take advantage of these potent genetics and book your breeding to Victory today!! This outstanding daughter of 12X Champion Beethoven has inherited her sire's density, and consistency relative to color, and crimp architecture. Maggie took her first blue ribbon at 6.3 months of age at VAOBA. Maggie has been exposed to our multi champion, AML Principio's Victory. 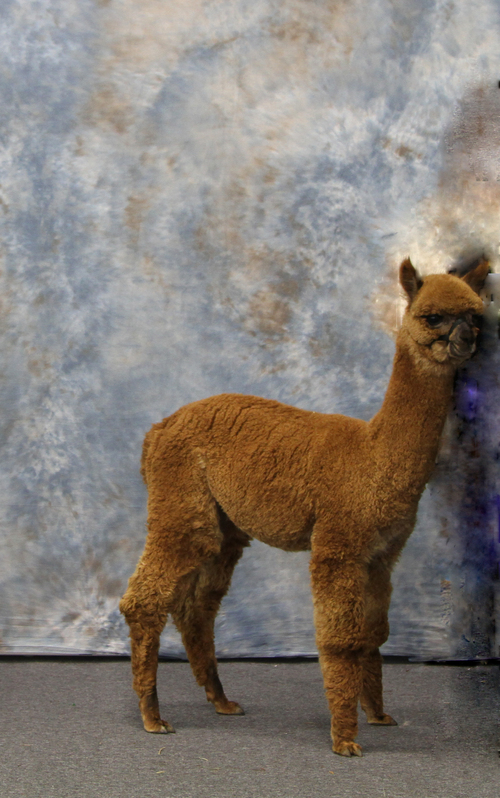 We are expecting a great outcome from this pairing given the similar fleece characteristics relative to fineness, crimp, and staple. The color is the real question.